At the age of just 21, Andrew set up Orton Electrical as an electrical and sub-contracting business, quickly gaining a local reputation for honesty and excellence. During the earliest stages of his career, he established himself in a hugely competitive industry and utilised his business acumen to tender for (and subsequently win) significant commercial and domestic contracts. Within the first three years of trading, Orton Electrical grew from a one-man enterprise to a highly-skilled team of eight people, operating four vehicles, and achieving a turnover in excess of £250,000. After navigating the business through a challenging recession and despite periods of industry instability, Andrew grew Orton Group to become a nationally-recognised organisation with over 90 directly employed members of staff and over 100 regular sub-contractors. Interesting fact: Andy is a self-confessed workaholic and family man. He’s also travelled the world to follow his passion for Formula 1. 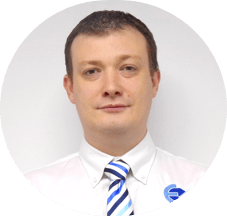 Dave has over 15 years’ experience in electrical and rail infrastructure, developing in-depth expertise in large-scale refurbishments, new builds and trackside works on behalf of major principal contractors, train operating companies, including Network Rail. He joined us in 2013 and has developed to the rail division of Orton Group to become a leading competitor in the market, implementing principles which challenge and outperform the industry standard and achieving – and exceeding – projects to support our clients’ visions and objectives. 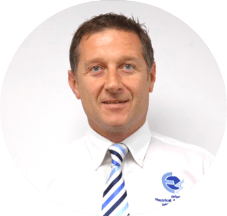 Dave also oversees the commercial management and business development of all rail contracts, from initial enquiries, through to tendering, project delivery, £multi-million revenue targets and client handover. And, he’s a Network Rail approved Contractors Responsible Engineer and is on our Board of Directors. Interesting fact: Dave used to own a recording studio and was Technical Manager for a live music venue while he was at University in Cardiff. During his time in the music scene, Dave met the likes of Dave Grohl, the Manic Street Preachers, and the Stone Roses.